The hansgrohe brand stands for multi-award winning showers, shower systems, bathroom and kitchen mixers, as well as kitchen sinks that focus on the needs of users, making their living environment more beautiful and comfortable. To meet the beauty of water in the bathroom and kitchen, hansgrohe develops trendsetting solutions that bring together outstanding design, long-lasting quality and intelligent functions for the ultimate convenience. Dedication, art of German engineering and the constant review of everyday needs build the foundation for the development of numerous innovative technologies that offer users real added benefit. Intricately sculpted nozzles are the secret to a fine micro-spray of water that softly envelops the body. 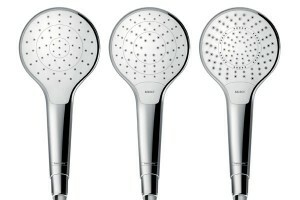 AXOR PowderRain will be your gentlest shower yet. 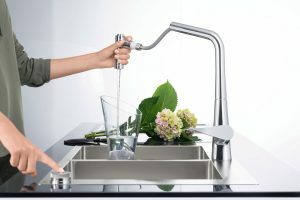 The new kitchen sink units from hansgrohe feature a streamlined control concept that brings the control unit closer to users, giving added convenience regardless of age, height and physical condition. A little gold goes a long way in interior design. 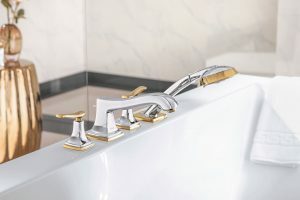 hansgrohe presents Metropol Classic, a new range of mixers with elegant gold accents created for discerning high-end bathrooms. Designed by Barber & Osgerby, the Axor One shower control module does away with dials and knobs and presents a highly intuitive ‘Select’ button that will eliminate that dreaded shower fear. 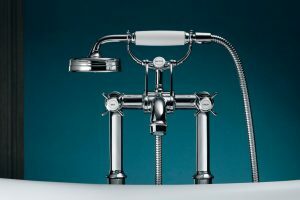 Hansgrohe presents a range of floorstanding bath mixers in the style of the first industrially manufactured fittings, and brings them into the 21st-century with technology for a high-performance finish. 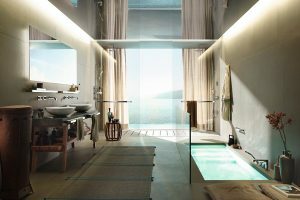 Hansgrohe introduces Antonio Citterio’s third bathroom collection for Axor Citterio E and a new system of bathroom accessories – both designed to make life within and around the bathroom more meaningful. 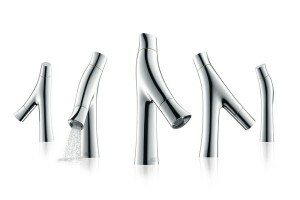 Leading architects and designers were invited by Axor to create their own spout, and here are the results. 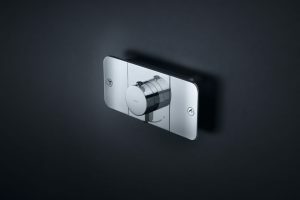 Axor collaborates with London-based design duo Barber & Osgerby to produce the company’s first all-in-one interactive shower control element. 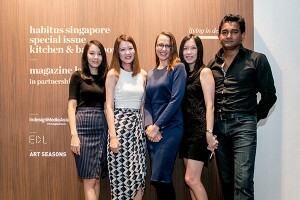 The first-ever Habitus Singapore special issue – kitchen & bathroom launched last Friday evening at Big Hotel, Art Seasons gallery. Find out how Hansgrohe’s innovative Croma Select range offers the ideal shower experience at the touch of a button. 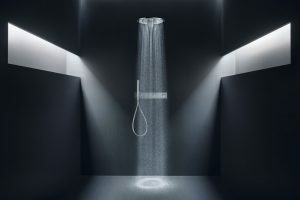 The new all-round comfort system from Hansgrohe offers a pampering shower experience with convenient Select technology and three different overhead shower sprays. 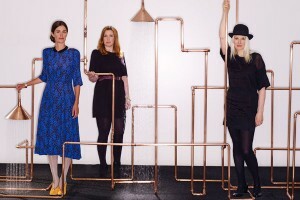 Swedish design group Front brings a fresh perspective to the design of the shower. 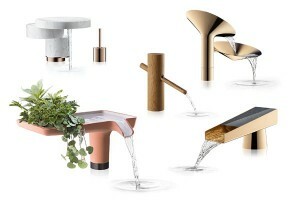 The latest collaboration between Philippe Starck and Axor is a nature-inspired design that offers a revolutionary new way of handling water.